New! See the Video tab. Also called "the part that Ford forgot" on 1979-2004 Mustangs, the Panhard Bar is a suspension link that provides lateral (sideways) location of the rear axle. 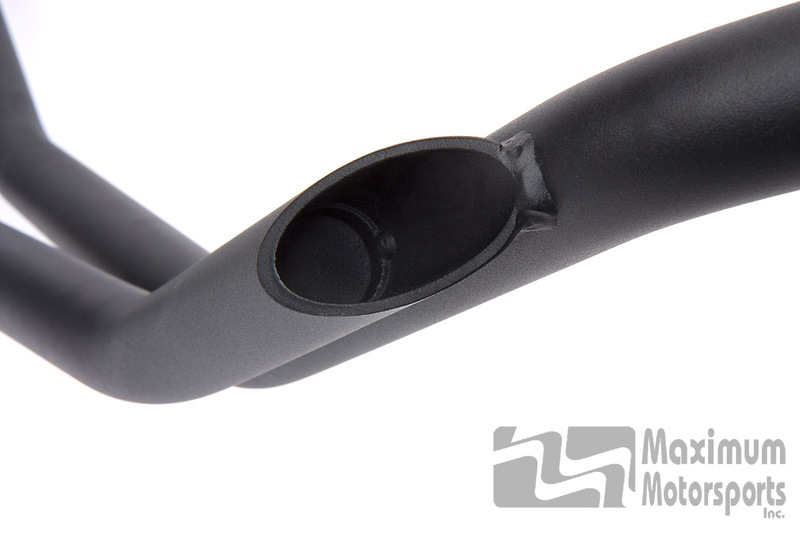 Installing an MM Panhard Bar is one of the most dramatic changes you can make to improve your Mustang's stability. In fact, while driving enthusiasts often express their appreciation for the improvement made by an MM Panhard Bar, you know it's good when a spouse notices the difference from the passenger seat, as several customers have reported. Your Mustang's handling is so dramatically improved by adding a Panhard bar because it eliminates the unstable and unpredictable behavior caused by the Mustang's notorious stock rear-steer! 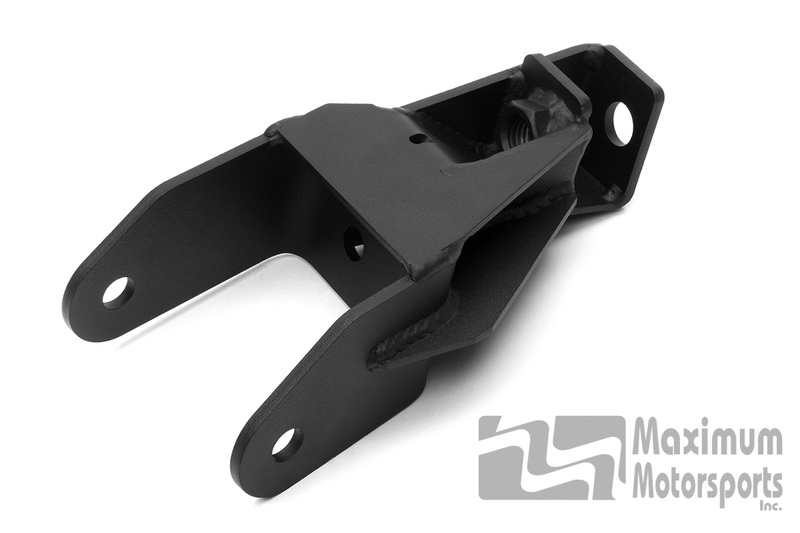 Installing an MM Panhard Bar eliminates the axle movement that causes the rear of the car to steer itself. This easy-to-bolt-on part is mandatory for a Mustang to achieve truly great handling. What is a Panhard Bar? 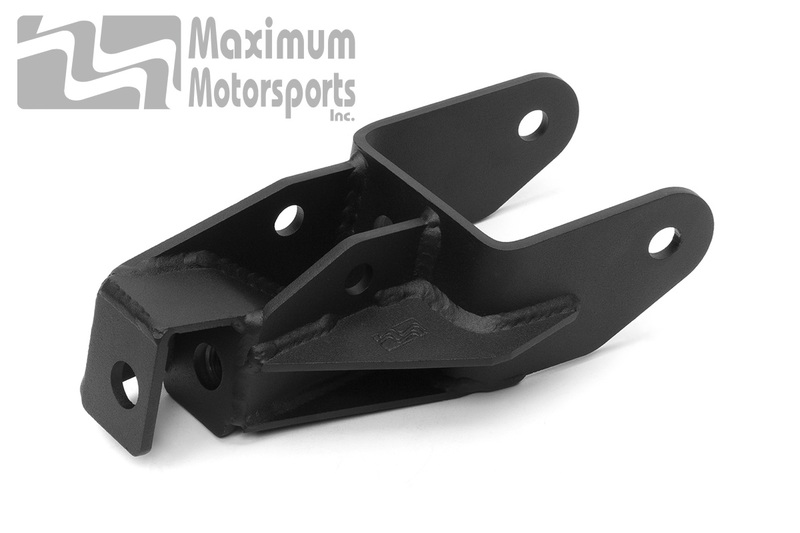 It is a suspension link that provides lateral (sideways) location of the chassis relative to the rear axle. Don't bother looking for it under your Mustang; Ford left them off the 1979-2004 models. 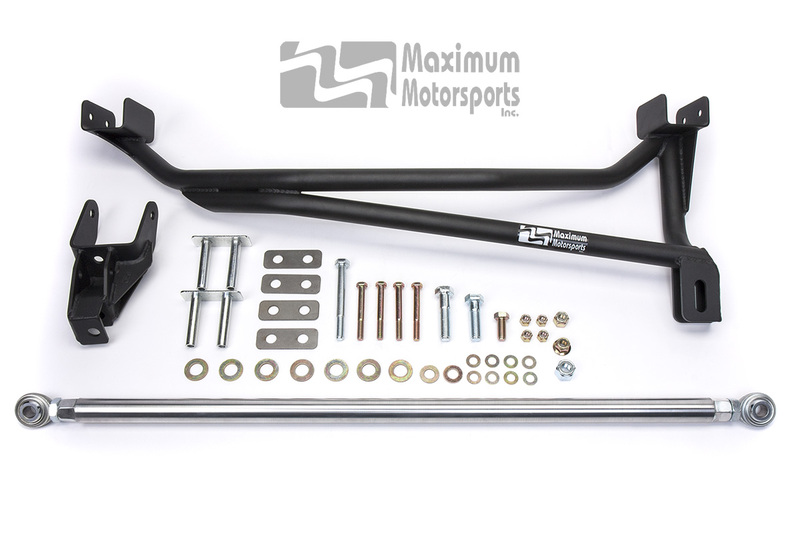 2005-2014 Mustangs were factory equipped with a Panhard bar. When installed with the OEM 4-link rear suspension design, we strongly recommend using stock upper control arms with rubber bushings. Upper control arms with bushings other than rubber will increase suspension bind, which leads to snap oversteer when cornering. Simpler (and less expensive) than a Watts linkage. 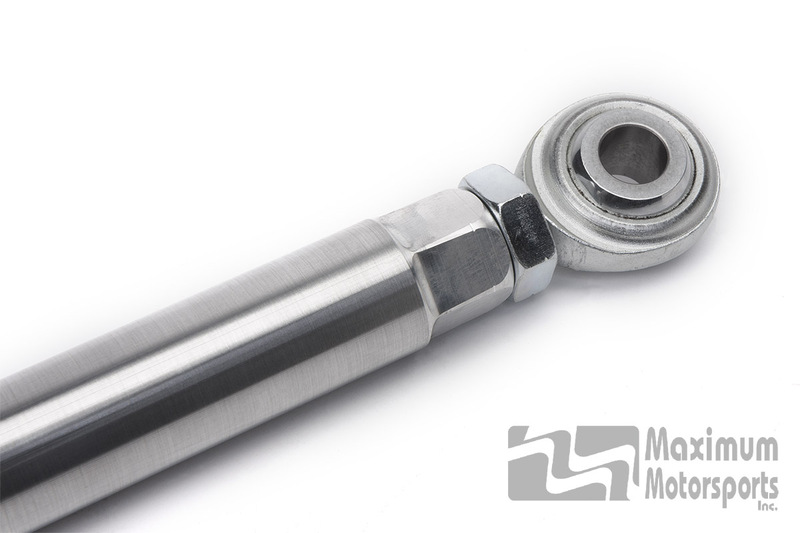 Read more on MM's Panhard Bar Tech page. Bolt-in installation, no welding required. Clears stock tailpipes. Aftermarket 2.5" tailpipes that follow the factory routing will usually clear the MM Panhard Bar without modifications to the tailpipes. These brands usually fit well: Dynomax, Flowmaster made after 2000, Late Model Restoration. Vertical adjustment of the rod's mounting accommodates different ride heights. Very long rod minimizes sideways movement caused by the arc of the rod's motion. 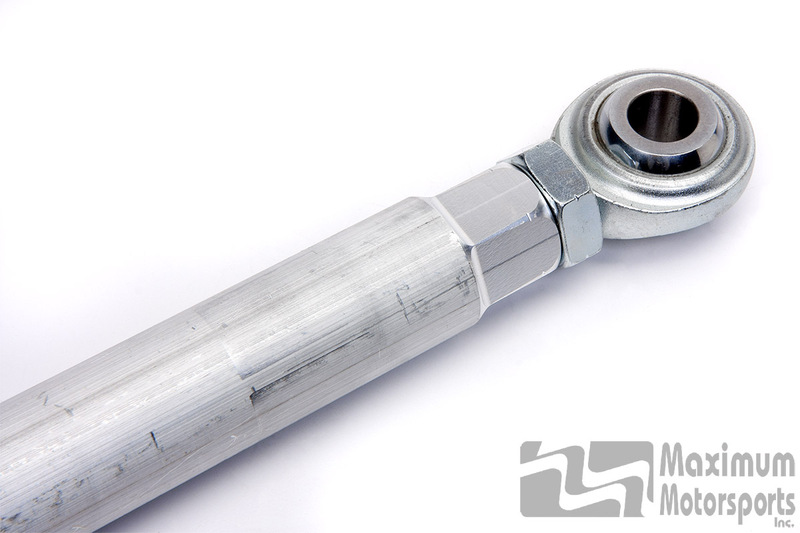 PTFE-lined spherical rod ends precisely control movement with virtually no noise transmission. Stout 6061-T6 aluminum rod is made from a custom extrusion, designed with a very thick wall by MM for this application. Rod ends are mounted in double shear for greatest strength and safety. Special inserts allow proper tightening of mounting bolts for the chassis mounting bracket without distorting the frame rail. Low mounting height of the rod significantly lowers the rear roll center, reducing the tendency of the inside rear tire to lift and unload during cornering. Roll center is lower than what can be achieved with a Watts link. 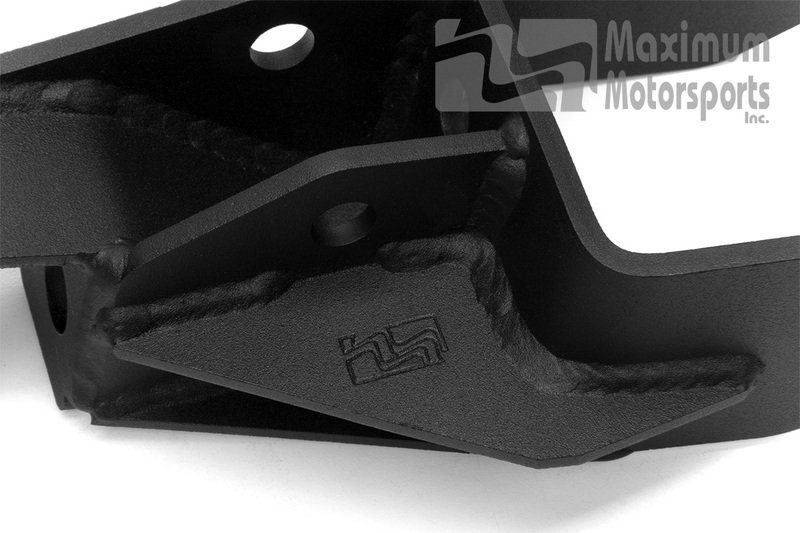 While compatible with the standard T/A differential cover when properly installed, we recommend the new low-profile cover (listed for the S197 application) to ensure no interference. Required before installation of the MM Torque-arm. Busting the Myth of the Watts Link - This FAQ/Tech page explains why a Panhard Bar is a better choice for your Mustang than a Watt's Link. Will 3" tailpipes fit with the MM Panhard bar? Short answer: not without great difficulty. The 3" Flowmaster system sort of fits with the Panhard bar. But, there is only a tiny bit of clearance after everything is adjusted to fit as well as possible. As soon as the engine is started engine movement will cause the exhaust to shift and start banging at every tight clearance spot. The exhaust pipes can be dimpled at the appropriate locations, but that's not easy to do. More clearance can be had by fabricating 3" tailpipes from an assortment of mandrel bends and tight-radius donuts. But, that's a lot of expense. Watch this video of a test of a 620hp engine; going from 2.5" to 3" exhaust only made a 2.5% difference in power and torque. That's not much increase for all the headaches of making 3" tailpipes fit. The weight of a 3" exhaust system over a 2.5" exhaust will nearly cancel out any acceleration performance gains provided by the added power. And handling ability will suffer from the added weight. The increased heat radiating area from the larger exhaust will make it more difficult to keep fuel from boiling in the fuel tank. Learn more about how Panhard bars work, and how important it is for you to install an MM Panhard Bar on your Mustang. Busting the Myth of the Watts Link - This Tech page explains why a Panhard Bar is a better choice for your Mustang than a Watt's Link. Still not sure your Mustang will benefit hugely from the MM Panhard Bar? All 2005-2014 Mustangs have a Panhard Rod. Ford would definitely not spend the money if there wasn't a significant benefit provided by this essential piece of equipment. Rear wheels with a backspacing greater than 5.75". This is typical of 9" or wider wheels. The Panhard rod lowers the roll center from the stock height. This may allow the inner sidewall of a wide tire to rub on the inside wheel-well when the body rolls during cornering. A 1/4" wheel spacer will eliminate or reduce tire rubbing on the inside wheel-well housing after installation of a Panhard Bar. 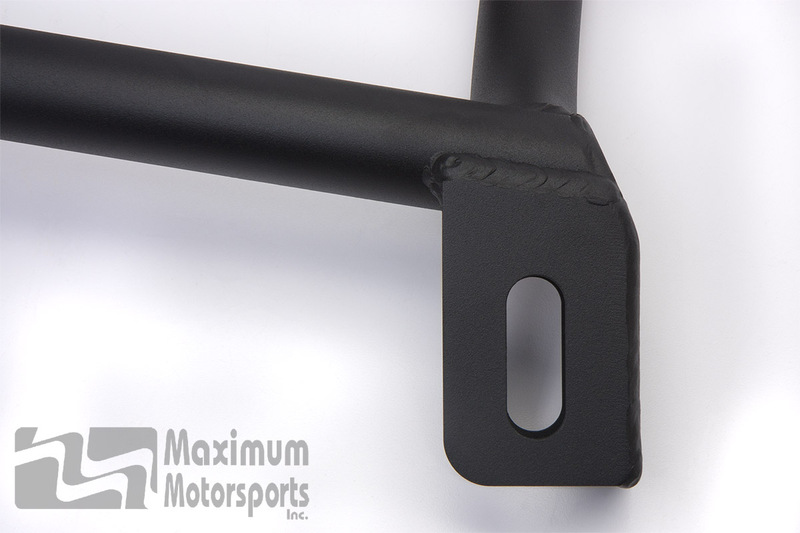 You can read Maximum Motorsports' highly detailed MMPBA Panhard Bar installation instructions before purchase. Real-world testing puts theory into perspective. Advocates of the Watts Link base their arguments on theory rather than testing. Here at MM, we're all about using engineering and real-world testing. What happens in this video reveals the true story about the Panhard Bar vs. Watts Link debate for the late-model Mustang. What's the true story? Myth busted, that's what! Scroll down and watch the video to see for yourself. Read our Tech page to learn more about why a Panhard Bar is a better choice than a Watt's Link for your Mustang.